Offered in Lancaster, the EL296E uses a number of features to produce outstanding energy efficiency. When using constant fan mode, the Power Saver™ constant torque motor can be 200% more efficient than regular single-stage motors in constant fan mode and is up to 33% more efficient. Additionally, this unit has earned the ENERGY STAR label and received an efficiency rating of 96% AFUE*. 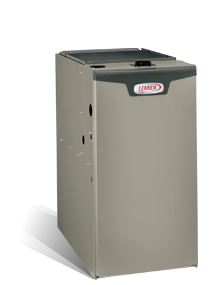 Ready to find out how the EL296E gas furnace can make your home more comfortable year round? Need help with a gas furnace repair or want to schedule a gas furnace maintenance visit? We can handle it all. Our staff is trained, experienced and ready to help. Make an appointment or call 740-654-4328 for Lancaster now. I REALLY wish I would have known this!! David White Services is feeling inspired. David White Services is feeling tired. Is this the David White I know?? Need Financing?Just $60 a month for a new furnace! Keeping you comfortable for more than 40 years!